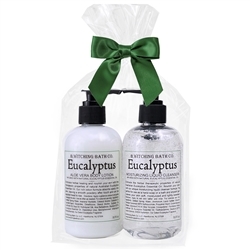 Share the experience of herbal healing and nourish skin with the therapeutic properties of Eucalyptus. Our signature formula is infused with eucalyptus essential oil, honey and skin nourishing sunflower oil. 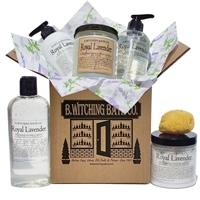 Gift Set includes one full size each: Hand & Body Lotion, Liquid Cleanser and natural sea sponge.